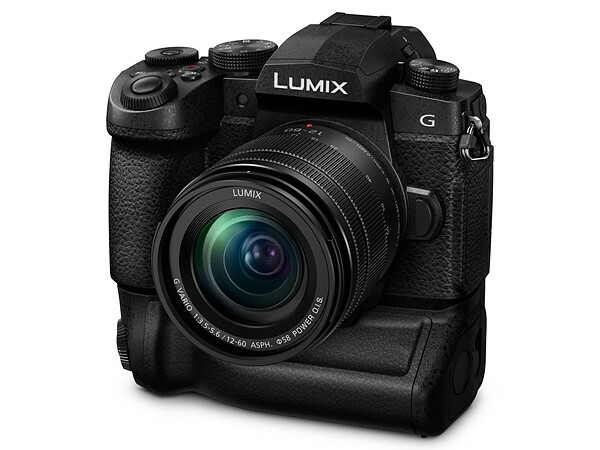 Panasonic has just officially announced the new Panasonic Panasonic Lumix DC-G95. It is a Micro Four Thirds mirrorless camera with a 20MP LiveMOS sensor, featuring built-in Dual IS 2, the company’s Depth-from-Defocus contrast-detect AF system, shooting at 9 fps with focus and exposure locked on the first shot, or 6 fps with continuous AF. This new camera with 12-60mm f/3.5-5.6 Lumix G Power OIS Kit lens costs $1,197.99, first available for pre-order at B&H/ Adorama. Optimized for high-speed high-resolution imaging, the G95 features a 20.3MP Light MOS Micro Four Thirds sensor and an enhanced Venus Engine processor to create sharp, detailed stills and UHD 4K video. This configuration maximizes resolution while keeping noise to a minimum, permitting the use of sensitivities up to ISO 25600. It is also quick, enabling continuous shooting rates of up to 9 fps with AF-S and 6 fps with AF-C.
Supplementing the camera’s stills capabilities is UHD 4K video recording at up to 30p with an 8-bit color depth and 4:2:0 sampling while recording internally. Alternatively, external recording is supported via micro-HDMI with 4:2:2 sampling and 8-bit color depth. V-Log L has been pre-installed on this camera and is used to capture a flat, neutral gamma curve well-suited for grading. Slow motion video is available with support for 120, 90, and 60 fps in Full HD resolution. Additionally, both a 3.5mm headphone jack and 3.5mm microphone input are available for improving audio capture. Helping to achieve the utmost sharpness when photographing handheld, Dual I.S. 2 combines the G95’s 5-axis sensor-shift image stabilization technology with lens-based image stabilization to compensate for up to five stops of camera shake along with a broader range of movement types to render sharper, clearer imagery. Dual I.S. 2 requires the use of compatible Lumix lenses featuring O.I.S. A large OLED Live View Finder has a high 2.36m-dot resolution and 0.74x magnification for eye-level composition. A larger means for image composition and playback, the 3.0″ 1.24m-dot rear LCD monitor has a free angle, tilt and swivel design to support viewing from a variety of angles. It is also a touchscreen, which permits intuitive menu navigation and settings control. Constructed from magnesium alloy with a die-cast frame, the G95 features a durable design that also incorporates extensive sealing at joints, dials, and buttons to render it both splash- and dust-proof. DMW-BLC12 lithium-ion battery offers approximately 290 shots per charge or approximately 1000 shots per charge when working in the Power Save LVF mode. Additionally, the battery can be charged in-camera via USB or via AC power. Built-in 2.4 GHz Wi-Fi and Bluetooth 4.2 Low Energy connectivity allows for wireless image sharing and remote camera control from linked smartphones and tablets. Bluetooth LE also enables a constant connection to your mobile device, allowing for functions such as geolocation and automatic image transfer. Pre-Burst: This mode is ideal for times when you’re unsure of the critical moment to press the shutter button and will record images one second prior to and one second after pressing the shutter button in order to give you 60 frames to choose from. Burst (S/S): This mode most closely follows the video recording process, and allows you to playback your video, pause at the chosen moment, and use the shutter button to mark a chosen frame from the video and save it as a single 8MP frame. Another attribute of the 4K capabilities is a unique focusing method called Post Focus. Working in conjunction with the contrast-detection focusing system and the intelligent Depth from Defocus (DFD) technology, Post Focus records imagery as a 4K MP4 file at 30 fps and shifts the specific point of focus throughout the burst shooting in order to offer a range of distinct focusing ranges to choose from. During playback, via the camera’s touchscreen, you can then tap the specific region of the image you wish to be in focus and an 8MP JPEG file will be created. Multiple individual files with different points of focus can be created from the original burst, and focusing assist functions can also be used to gain even more precise control over the specific in-focus region. This technology also allows for producing focus stacked images in-camera to realize a greater depth of field, especially when photographing close-up subjects. In this mode, images are recorded and saved with varying points of focus and then blended together to gain an extended depth of field. Benefitting manual focus operation, focus peaking is available that highlights bright edges of contrast with a colored outline for quickly recognizing your focus point, as well as Touch MF Assist for touch-to-focus operation. MF Assist can also be used to increase magnification by up to 20x for more critical focusing on specific subjects. This entry was posted in Panasonic Camera and tagged Panasonic camera rumors, Panasonic G90 on April 6, 2019 by admin.